Looking for ideas for an upcoming birthday party? Splatball is a great place to plan a birthday party because they offer private paintball games for parties that call ahead and reserve a time. One phone call is all it takes to reserve a private area for a game so that you and your friends can enjoy the game field on your own. This makes it a much more exclusive experience that is well reserved for special occasions like a birthday. Depending on the size of your party, you can also choose to just walk on and play a game as it fits into your schedule. Groups that are smaller than eight are always able to walk on and play a game. Paintball is a great activity if you are attempting to plan a birthday party and need an activity that everyone will enjoy participating in. Paintball involves getting together a group of people that attempt to take out each other with paint balls. The game is often played in teams which can make it even more fun as you line-up against your friends to see who can manage to come out victorious at the end. This allows you plenty of options when it comes to choosing how and when to plan your birthday party. Compressed air fills and CO2 are also available on the premise to make paintball plans simple for the entire group. Even if there are people in your party that do not have any experience with paintball it should only take a few rounds for them to quickly catch on and enjoy the fun! 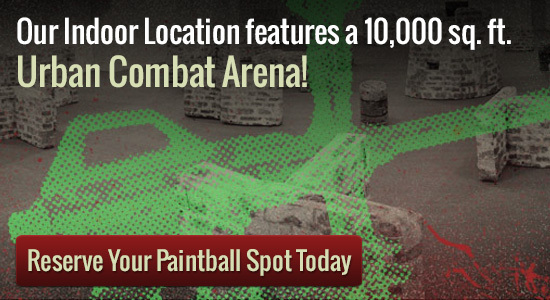 Make your party memorable with a paintball reservation today. Both private play and walk-on play are available at Splatball. If you are looking for private group play the minimum group size is 8 players and reservations must be made in advance. You can reserve your spot by giving us a call at 612-378-0385. Spots fill up fast, so make sure to book at least a week in advance.